May buy 1 for yourself and unlimited as gifts. Limit 1 per person. Option A must be used in 1 visit. Options B, C and D may be used over multiple visits. All services must be used by the same customer. All laser hair-removal treatments must be used on the same body area. By appointment only. Subject to availability. Merchant cancellation/re-scheduling policy of 24 hours applies; voucher subject to forfeiture. Expires 6 months after purchase. See the terms that apply to all deals. Frame your eyes with beautiful eyelashes that last up to 5 weeks. Or tighten, tone, and firm your body with infrared body wraps that stimulate metabolism and reduce cellulite. Interested in laser hair removal on a small or large area? Solavita Medspa offers 2 great deals to choose from. Small areas include: lips, chin, eyebrows, toes, fingers, underarms, basic bikini line, small abdominal line, back of neck, and front of neck. Large areas include: full bikini (Brazilian), full legs, upper back, lower back, and full chest. Solavita Medspa and Body Contour offers a variety of laser and skin care services. All of their services are provided by a professionally-trained staff in a relaxing and comfortable atmosphere, using technology to deliver great results. 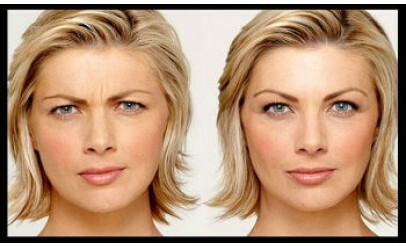 Their treatments are for those wishing to improve their appearance and overall well being.